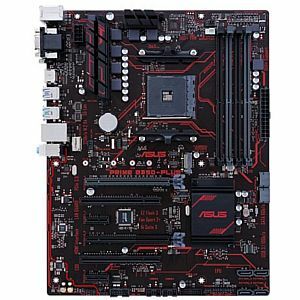 Get a highly reliable mother board for your PC with the ASUS PRIME B350-PLUS ATX Motherboard. Built with AMD B350 chipset and AM4 socket, it supports latest 7th Generation AMD Athlon/A series & Ryzen processors, to have an awesome computing performance for both data and multimedia applications. With support for up to 64GB DDR4 memory, it enables super multitasking and faster system responsiveness. Its advanced hardware with finest components & excellent circuit design gives 5X Protection II feature for protecting the delicate internal components by surge protection, overvoltage protection, stable power supply, over current protection & stainless steel back I/O. Its ASUS ESD Guard system protects the system from electrostatic discharge for up to +/- 10kV for air discharge and +/-6kV for contact discharge, providing greater component longevity. 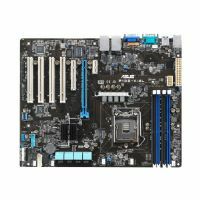 This highly reliable motherboard also features USB 3.1 for convenient connectivity & Fan Xpert 2+ advanced fan controls for ultimate cooling & silent performance. With four M.2 and six STATA 6.0Gb/s ports, it provides wide storage and expansion capacity. This ATX motherboard is designed to last longer with fortified PCIe slot. 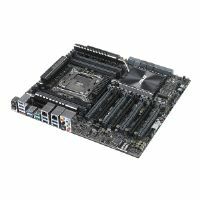 So, order the ASUS PRIME B350-PLUS ATX Motherboard at the earliest!